2017 is a big year. It's my last full year in my 20s. Which to be honest I'm not at all upset about. I think I'm ready to kiss my 20s goodbye. But I want this last year to be my best year yet. Fingers crossed it is. Let's take a look at last years goals and see how I did. Go to church more regularly. I failed. Like epically failed. And I still haven't found a church in Houston I'm 100% comfortable in. Read 50 books. CHECK CHECK CHECK! Drink more water. I think I've accomplished this pretty well. But there was no way to really gauge it at all. But it feels like I drank a lot of water in 2016. Be healthier. Meh. I stayed the same weight this year. That much I know. And I was definitely a little more active then I have been in past years. Keeping blogging and go to a blog conference. YES! Thrive was unbelievable. I really wish I could go this year, but I just don't think it's in the cards. Hopefully there will be a workshop or two I can attend in 2017. Improve photography skills. I would 100% say my photography is better now than it was when I first got my camera. But I still want to take a class of some sort. Save money. Yet another failure. I think I need to approach this differently in 2017, than I did in 2016. So....5 out of 8 isn't too bad if you ask me. It's one more goal accomplished than in 2015. So go me! And now we come to my goals for 2017. These are my long term goals I hope to accomplish. I've been toying with the idea of setting up some small monthly goals as well! So stay tuned for those! Read 75 books! That's 25 more than last year. But I think it's doable. Hopefully. Cook at least 3-5 meals at home a week. I just signed up for Hello Fresh. My parents have been doing it for a few months now and love it. So I'm hoping that I do as well. Be healthier...again. Ok this is kinda a carry over from last year. I need to find an exercise class I like and I'm hoping by cooking more meals at home this will help accomplish this goal too. Plus, I would like to see my weight drop. So I do need to start exercising with a little regularity. Pay off debt. Last year I said save money and that didn't happen. So instead of just saying "save money" I want to be more purposeful and actually pay off the debt I have. Granted the majority of that is in student loans but still. I also have started planning out a better savings plan. So hopefully that will help me not only save money, but pay off debt as well! Put myself out there more. Last year I went on exactly zero dates. Now there may have been at least one but I honestly don't remember it at all. So that's not good. But I know that I need to be more assertive and out myself out there. I'm never gonna meet anyone sitting on my couch watching Bravo. Although lets be honest that's not gonna stop any time soon, but I want my dating life to be much more active than it was last year. Redesign the blog. I've loved this design but I find myself wanting something more. I still want the clean and fresh look I have going right now but I would like to spruce things up a bit this year. I'll have had this design for two years now and I think it's time! These all sound like super achievable and awesome goals girl! I definitely promote doing online dating, find a site you are comfortable with (ask me for rec's since I feel like I've done a ton of them) and just put yourself out there more, I think you are bound to find someone and hey if it doesn't work out at least you'll have gotten a nice meal lol. Iceland is on a lot of people's radar lately, I actually have some family there and would love to visit them sometime soon! Cheers to 2017! 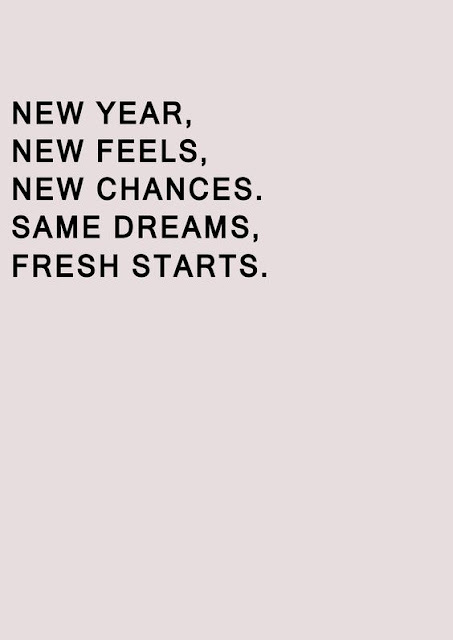 You definitely did an awesome job on all of your goals for 2016! Love everything you're hoping to achieve this year including some fun trips! 5 out of 8 is definitely great! A few of yours are definitely on my list, too! Hi there! New reader here. I love that you say you're not sad to move on from your 20s. I'm 34 and my 30s have been MUCH better than my 20s so far. That's something I never thought I'd say!!!! Great job with your goals and best of luck with those to come! You achieved most of your 2016 goals, so that's awesome. I hope your 2017 goals all come to fruition. I went to London last year for the first time, and I'd love to visit again or at least somewhere else in Europe in the next couple years. I think these are great goals, especially cooking more. I think that's a huge step to keeping healthier because you see everything that you're putting into a meal and can control the good versus bad. Good luck girl! You really did such a great job with your goals in 2016, and I love that you increased your book goal from 50 to 75! You can totally do it at the rate that you read! Of course, I love your travel goal, and I can't wait to hear about what trips you have planned in 2016! I also can't wait until we have dinner in a few weeks! good luck with all your goals girl. i think being more purposeful is the way to go and you've totally got this. 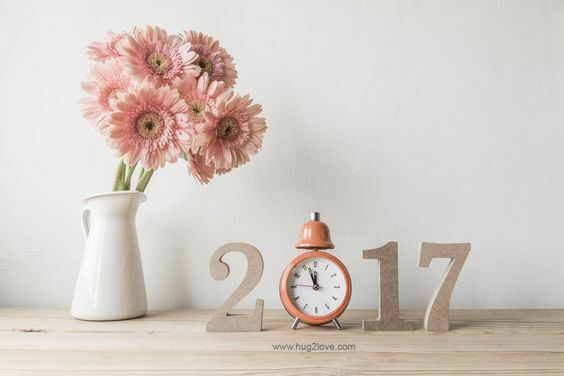 hope 2017 is the best year yet! It is SO hard to find a church that's a good "fit." We spent nearly a year trying to find a church in DC that we loved and when we did, we were so happy! Got married there and everything, and then they changed the pastor and the church was never the same...it's been 2 years and I still haven't found a church in DC that I love! Good luck with your goals this year! I'm excited to hear about your Eurotrip planning! My 30th birthday is next month and, while I don't have a big trip planned for it, I've got some pretty big travel goals for this year! I like your goals in life. I hope you achieve all your goals.